Blank inside for you to add your own greeting but would be perfect to say Merry Christmas or to invite a friend for a holiday party. Contact me if you would like to turn this into an invite! I would be happy to create more and print your event details inside. This card was created using cardstock and scrapbooking paper. 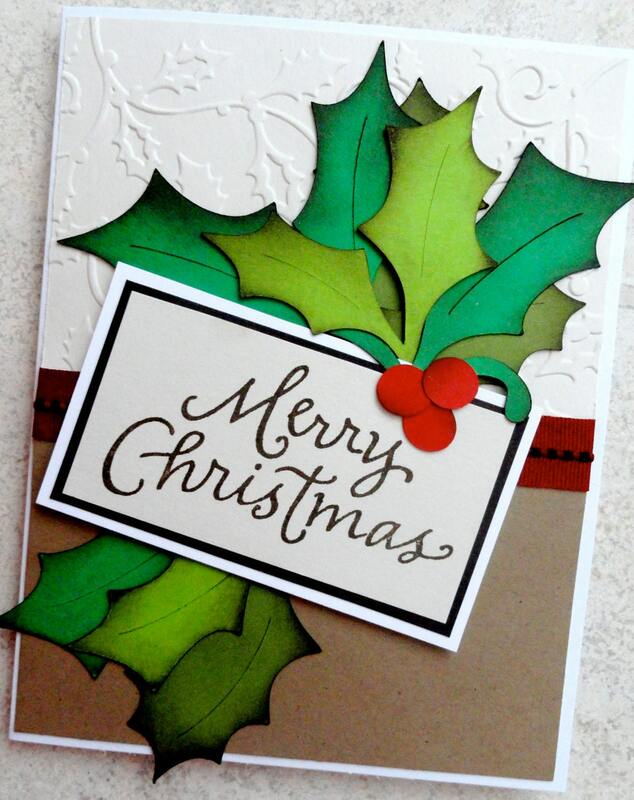 The holly leaves and berries are distressed and the greeting "Merry Christmas" is handstamped in chocolate brown ink. A dark red ribbon compliments the card. Card measures 5." x 6.5"" and comes with a coordinating white envelope.